Gubernamental offices for the house of "Land" and visitors centre. 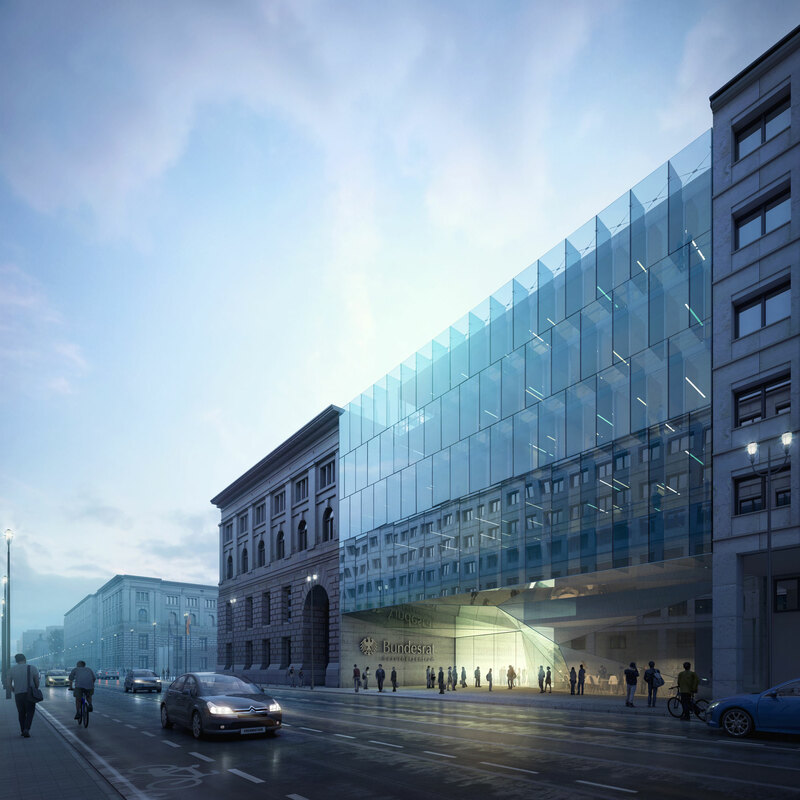 We identify two levels of work: The resolution of a complex program and the understanding of this new building as a cornerstone between the octagon constructions in Leipziguer Platz and Bundesrat complex itself. 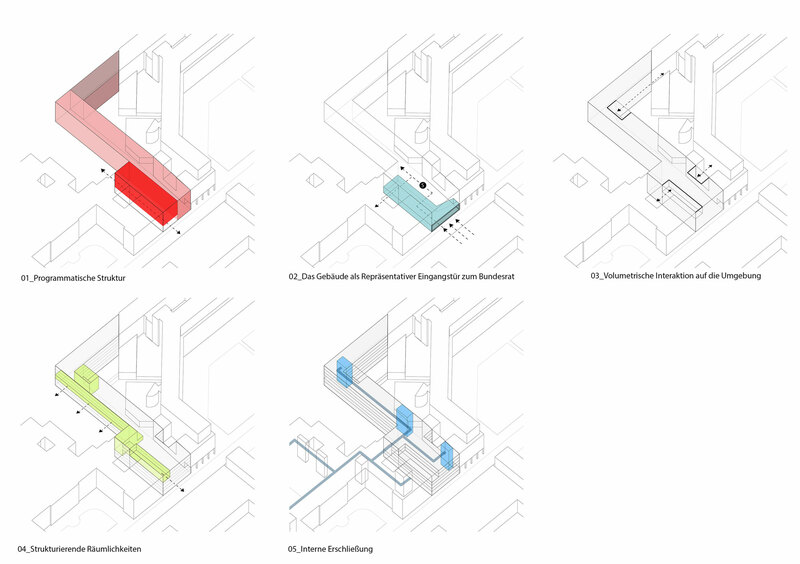 In this way, the project aims to make a double movement. 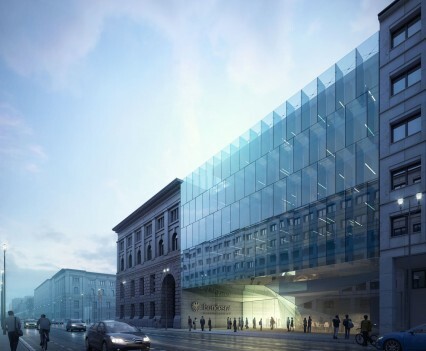 The first one is to design a building in a “L” shape wich close the octagon construction and hold the new offices of Bundesrat, the second one is to create a door, a huge void that dilates the public gallery of Leipziger Strasse under the visitor center. 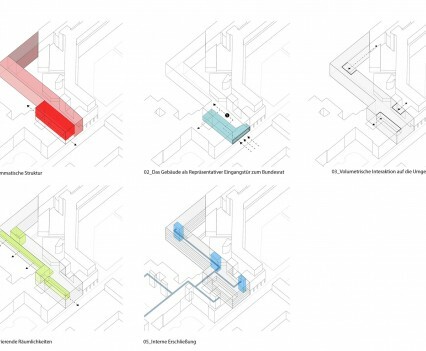 The project reponds to the courtyards of its surroundings generating own patios, improving ventilation and lighting conditions and continuing to the nearest urban area. 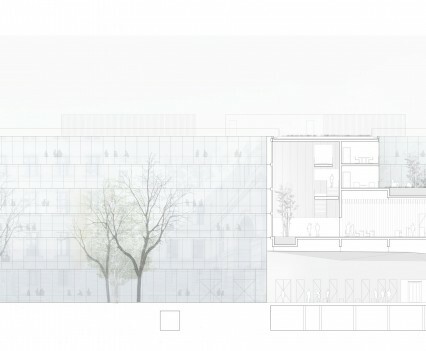 The building is splited into three program areas. South and parallel to Edna Berger, the offices building dedicated to third party. 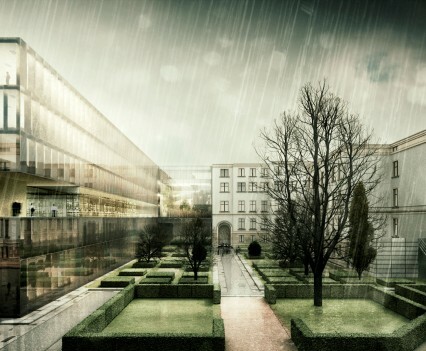 In the center, the linear crossing building that hold the offices, library and documentation. 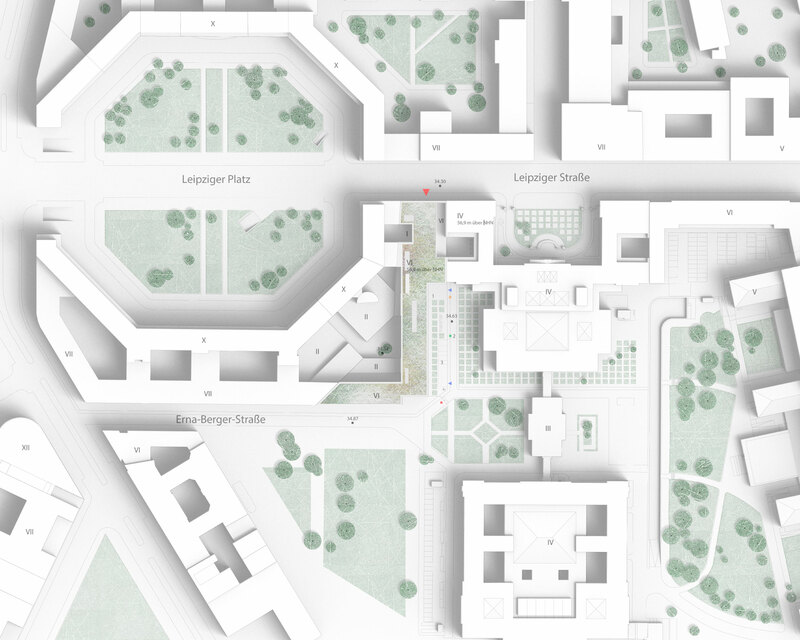 Adjacent with the Bundesrat existing building, the visitors center wich levitate over the great access of the building and operate as a hinge between them. The connection with the Bundesrat building designed through a wintergarten atrium facing south where transitions between the existing building and expansion occur. 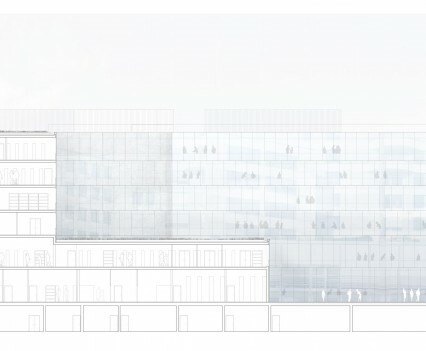 This space is the heart of the system of relations between the existing and the new building, a vacuum of 4 heights that connects and creates a transition in accordance with the scale of the Busdesrat buiding. 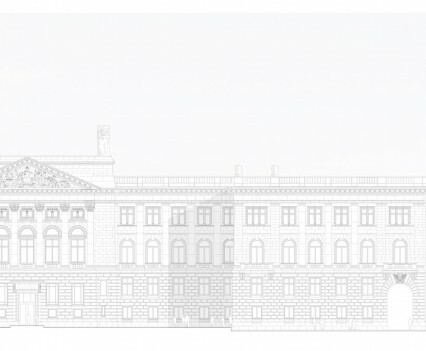 Project: Offices + visitors centre.